For over ten years, Weygandt, Kieso, Kimmel, Trenholm, Kinnear Accounting Principles has been praised by both students and instructors across the country for its outstanding visual design, its carefully integrated pedagogy, and its excellent writing style and clarity of presentation. Our main focus continues to be ‘Student Success in Accounting’ and the new fifth edition package further enables both instructors and students to achieve successful learning outcomes. It introduces challenging accounting concepts with examples that are familiar to the student with a stepped–out pedagogy that breaks down complex topics making the material more manageable. This connection to their everyday lives helps build student motivation , a key driver of student time spent on assignments and ultimately their mastery of the concepts. 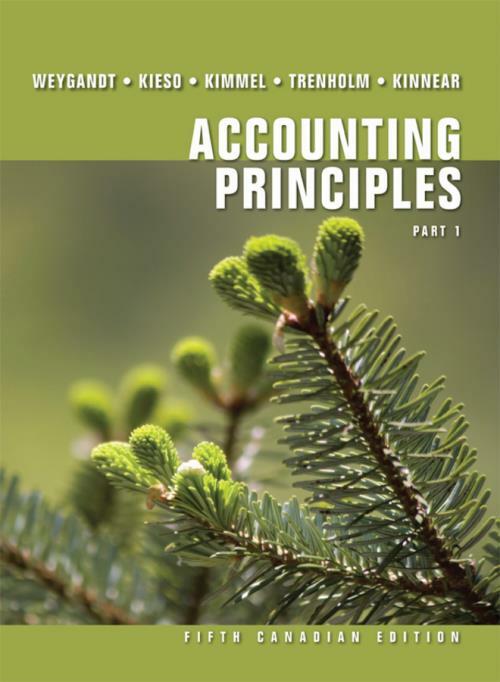 Weygandt Accounting Principles, Fifth Canadian Edition enables students to become independent and successful learners by including a variety of additional resources, more opportunities to use technology, and new features that empower students to apply what they have learned in the classroom to the world outside the classroom. The seamlessly integrated digital and print resources to accompany Accounting Principles, Fifth Canadian Edition offer additional tools for both instructors and students in order to help students experience success.